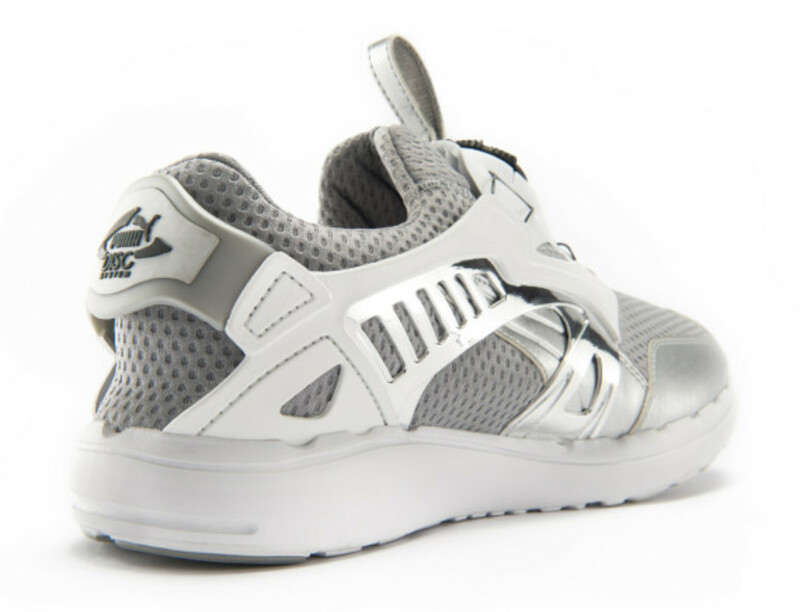 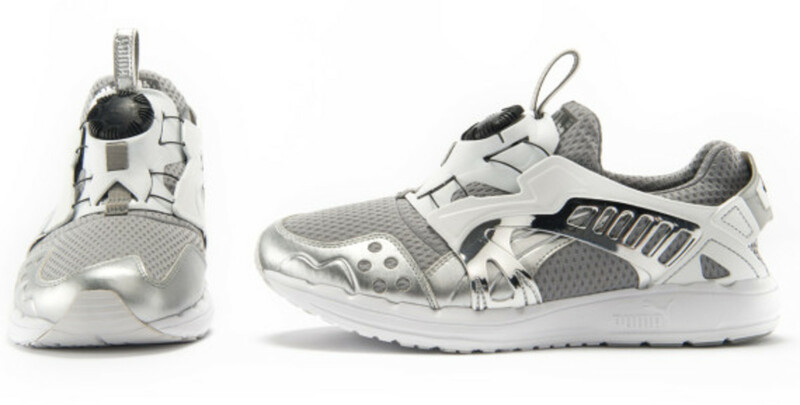 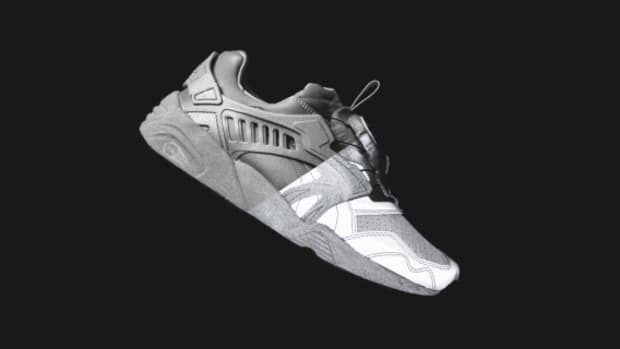 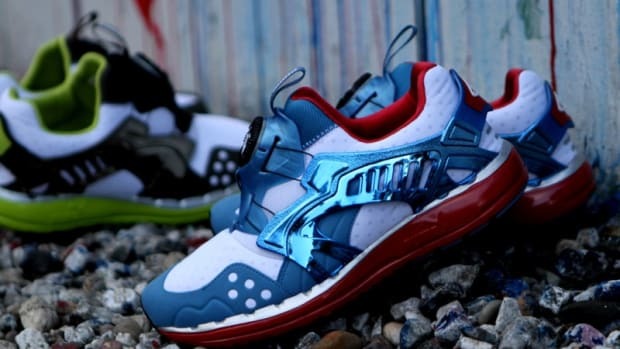 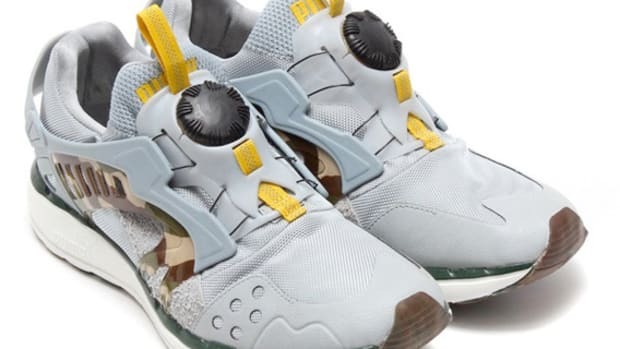 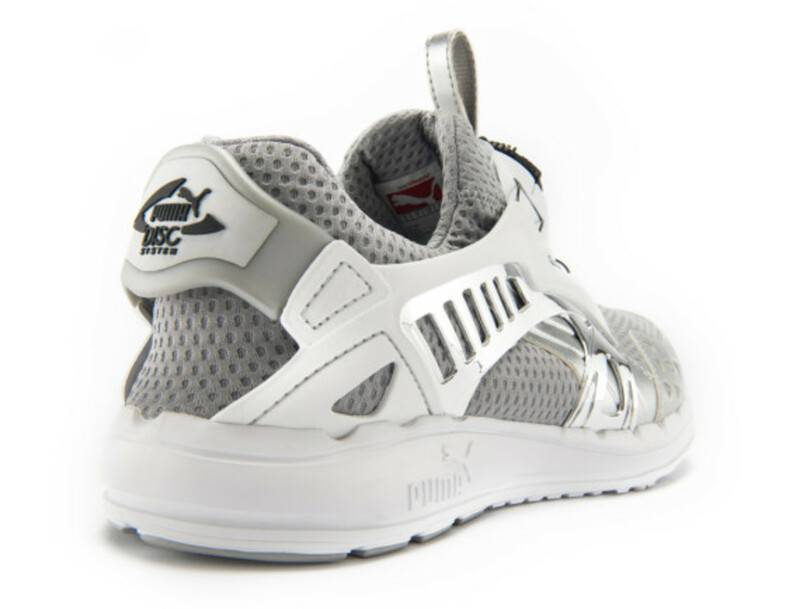 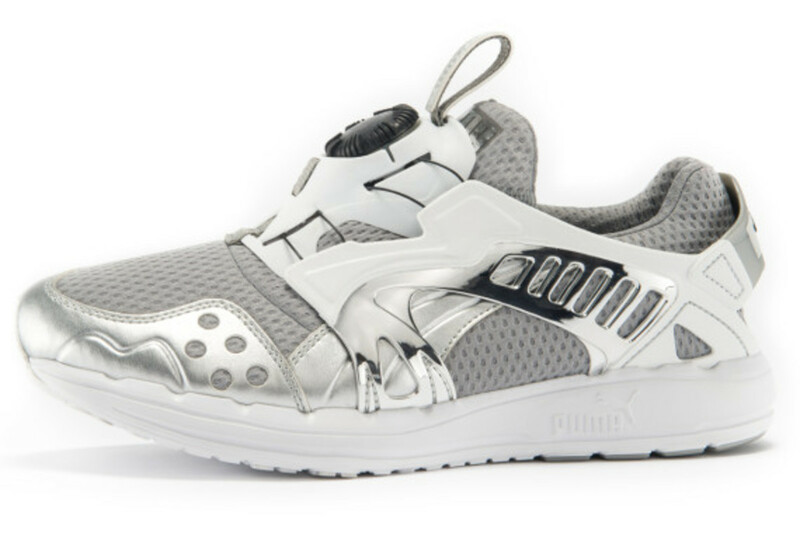 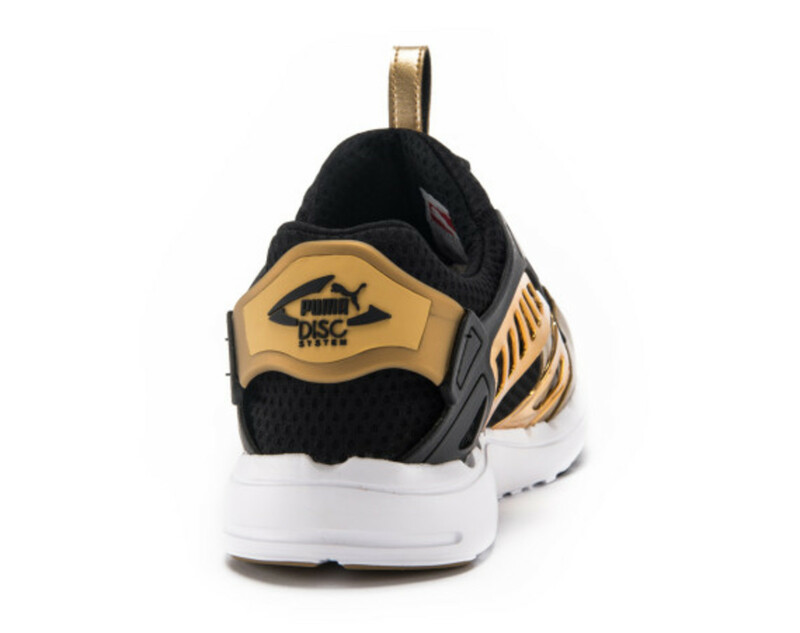 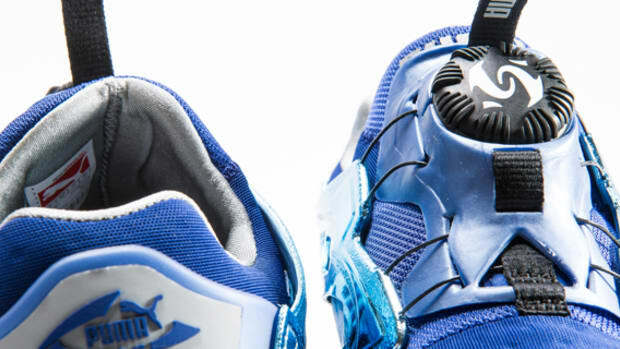 Since its global debut in 1992, the PUMA Disc Blaze has been viewed as a forward-looking sneaker, featuring enhanced fit via an internal wire system and Trinomic cushioning technology that allowed for long mileage comfort. 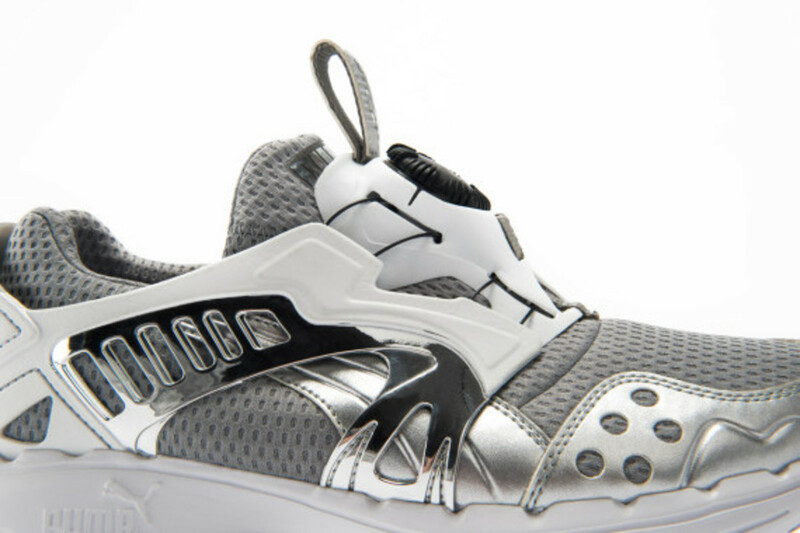 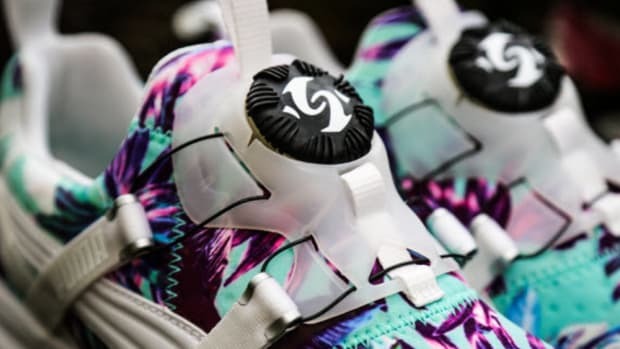 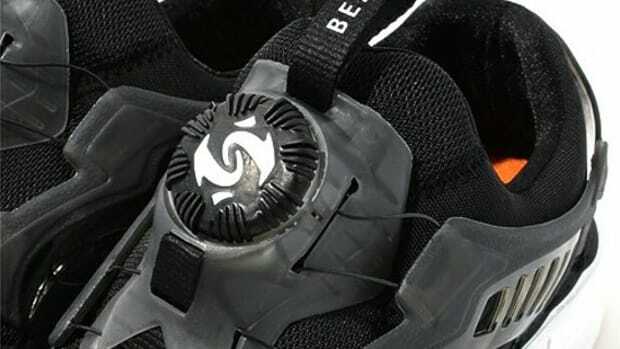 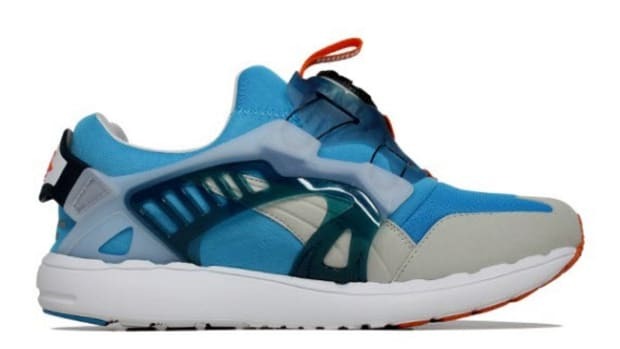 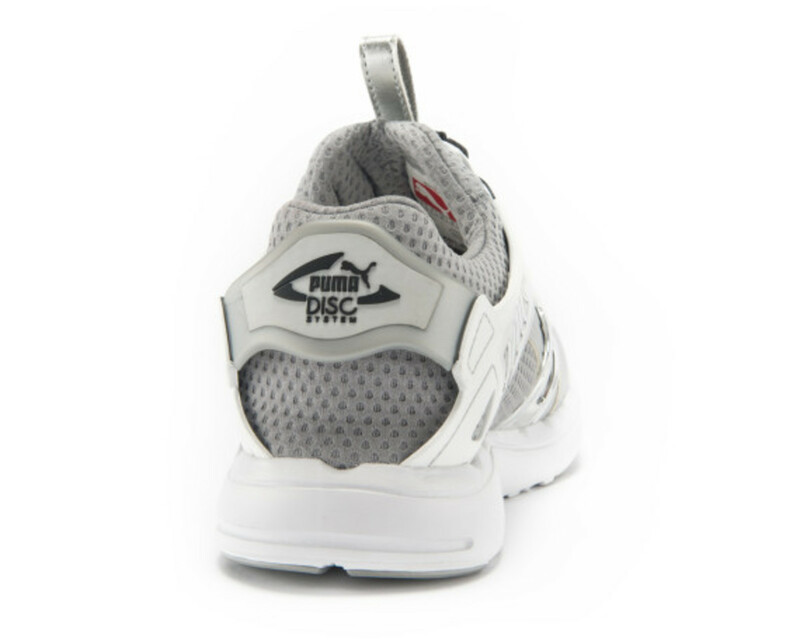 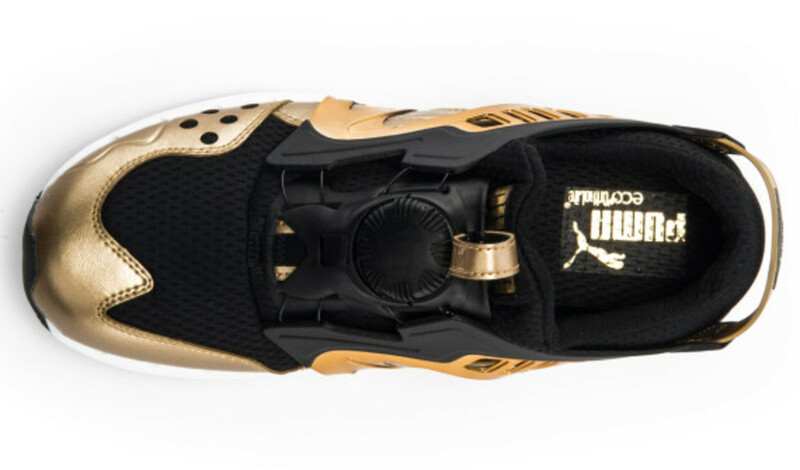 The shoe was the first to dispense with traditional laces in favor of PUMA’s Discs dial, which has carried over to the Future Disc silhouette. 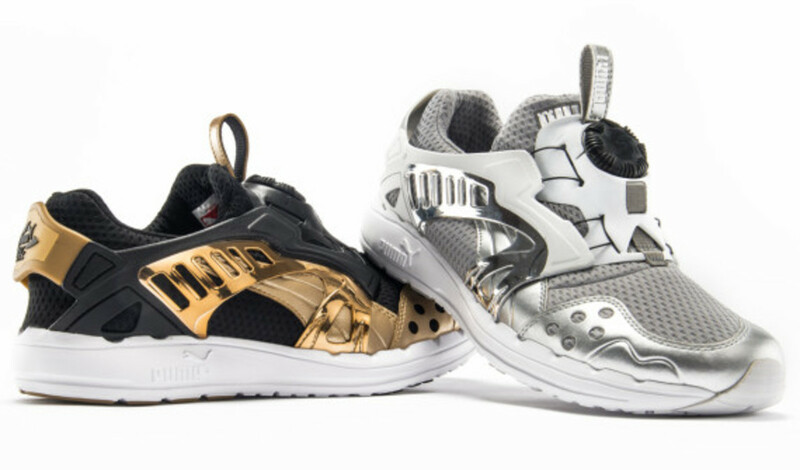 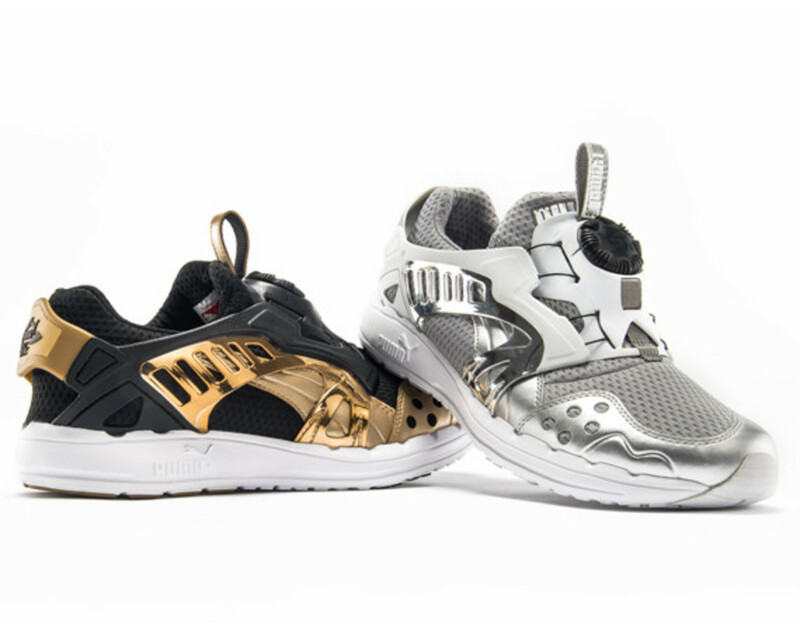 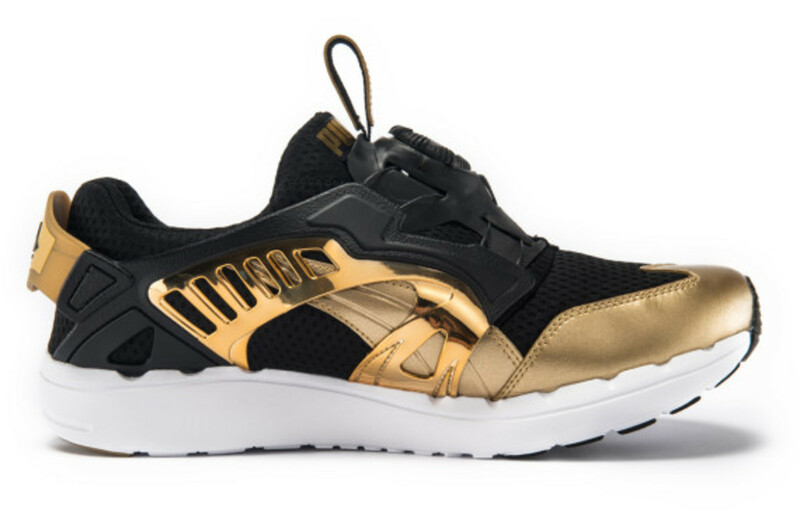 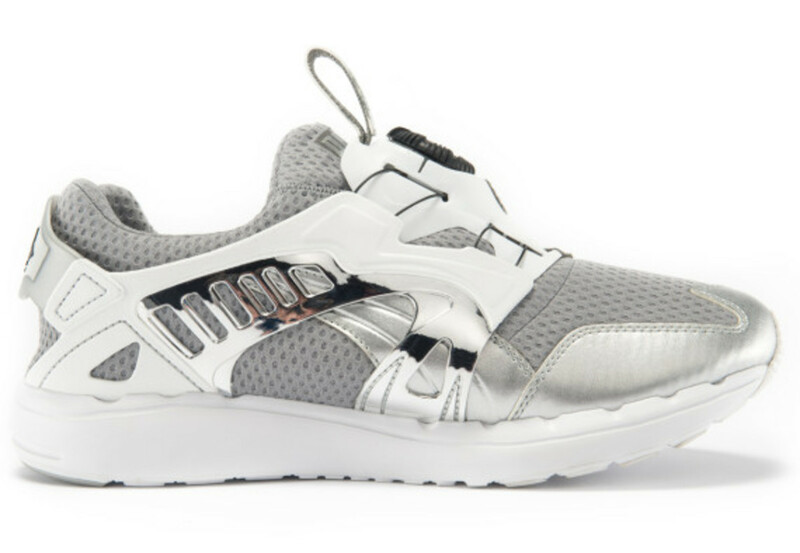 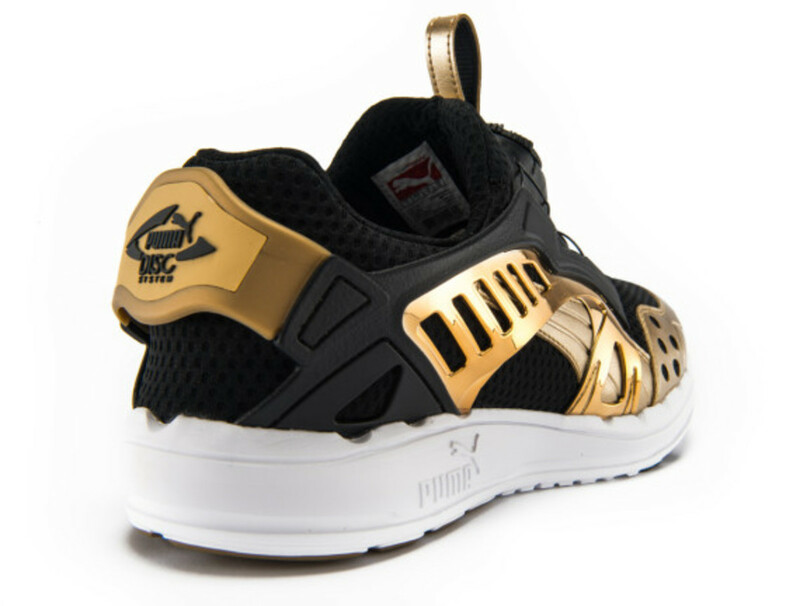 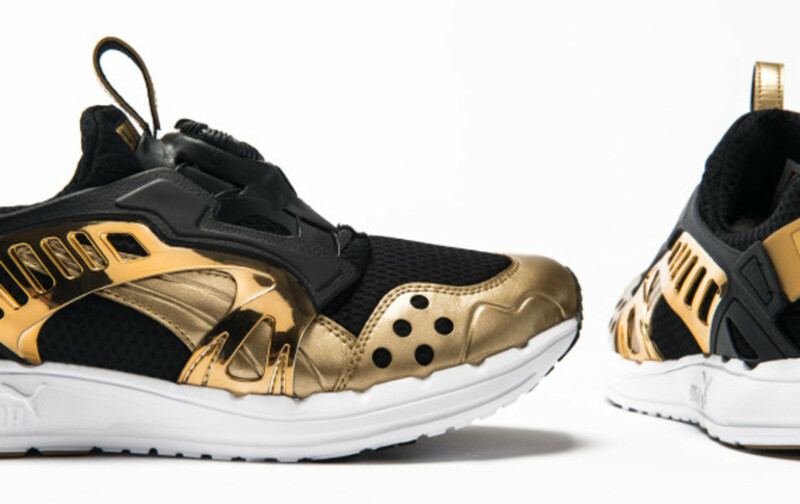 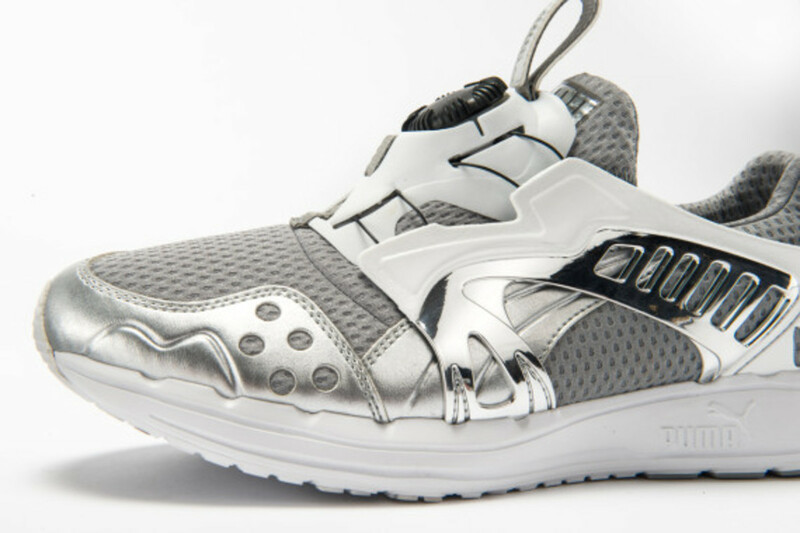 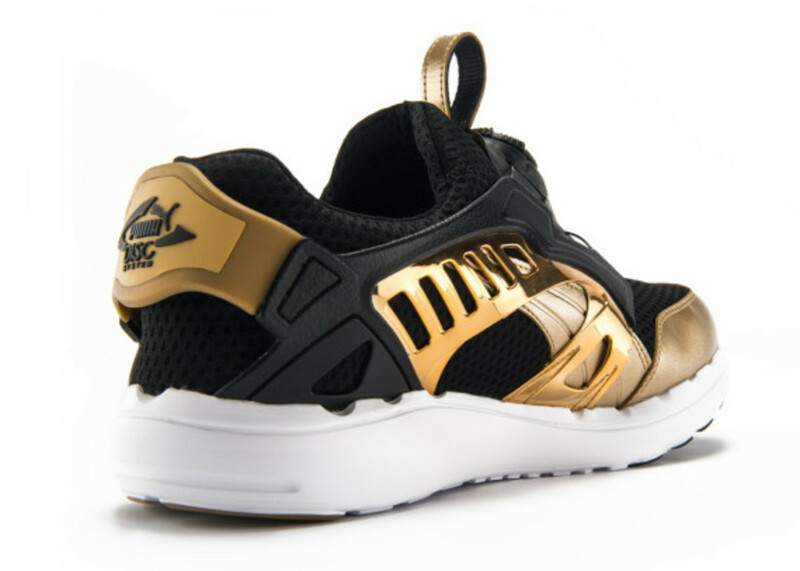 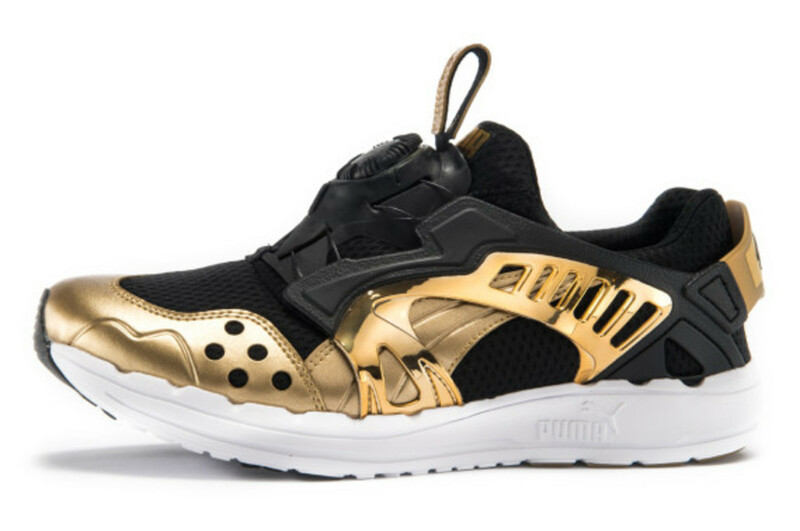 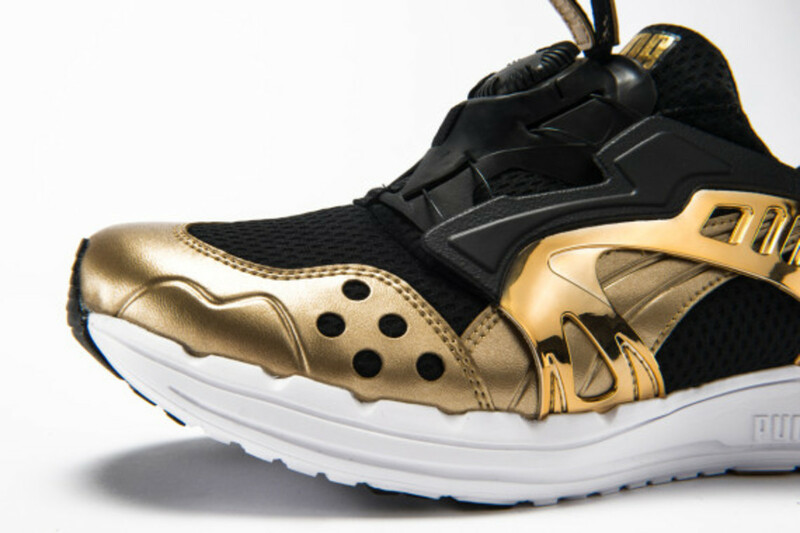 It has all the same technology but borrows elevated styling from PUMA’s lifestyle side, making it the ideal shoe to ring in the New Year with gold and silver finishes. 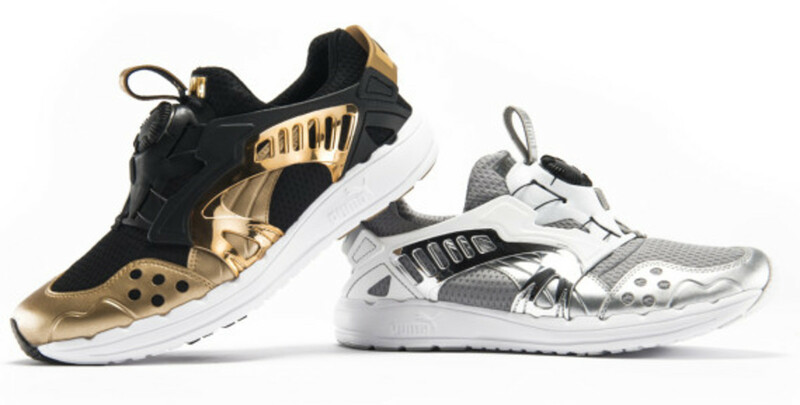 Both styles carry a breathable mesh upper stop a responsive Faas sole unit, with gold or silver metallic cages delivering a celebratory sheen. 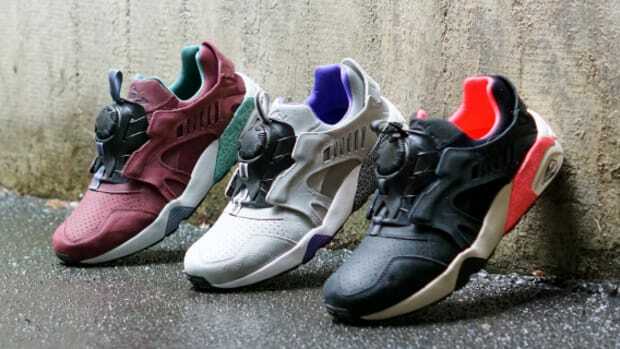 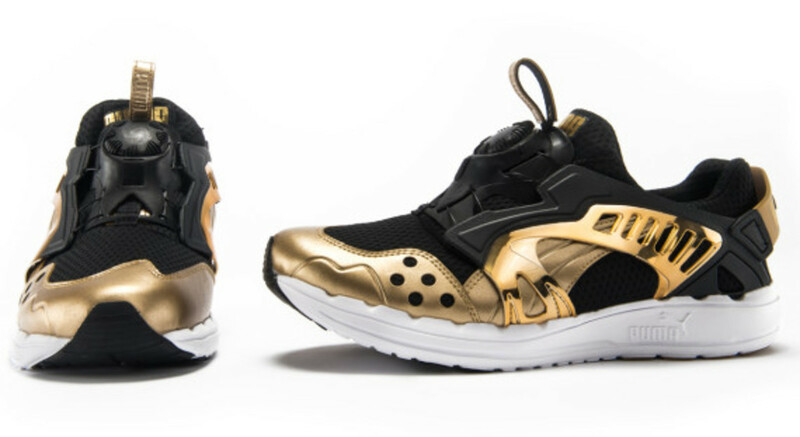 Look for the kicks to launch at select PUMA retailers starting December 23rd.